Clove leaf oil : Madagascar exports finest quality product. The group Givaudan, world leader in the aroma and fragrance industry, has opened its largest clove leaf processing plant in Madagascar. Clove leaf oil from Madagascar. The sun shows its attraction to the west. Inside the tank of a bush still, installed on the hillside since 2010, dozens of kilos of clove leaves simmering. We take the product of the distillation to this container. After a dozen hours process, we get the essential oil of clove leaves,” says Rica Rakotobé, head of collection agents Givaudan. At the end of the process and after cooling, the precious liquid is filtered and collected in a bucket handled with care. Located in the province of Tamatave, in the north-east of Madagascar, Analanjirofo becomes aptly named. Cloe Ol suppliers got materials from these green hills that most of the 1,300 tons of cloves. Equals 40% of the world’s production, are exported by the Big Island each year. Madagascar figures the world’s largest exporter just after Indonesia. Introduced in the early nineteenth century, the clove tree, which is native to the Maluku archipelago, become a source of income for 31,000 Malagasy producers and households. Often used in addition to other crops (vanilla, pepper, lychees …). Analanjirofo has about fifty bush hills. Its location at the heart of hills causes logistical issues. “Distillating cloves closer preserves the freshness of the leaves. Also, transporting such a large amount of biomass on the backs of men would be too restrictive,” explains Renaud Favier, Guvaudan’s manager in Madagascar. For 35 kg of leaves, we obtain one kilogram of essential oil. These quantities purchased from hundreds of producers in small packages, such as bottles or jerrycans, are easier to transport to the collection and storage center. But distillation costs high and unecological. It requires a significant amount of firewood. In 2015, the Swiss group reported planting 40,000 trees to fight deforestation ravaging Madagascar. From the still, we count two good hours of walk through a hilly path. Then, cross several villages to reach a marshy zone. From there, people need to continue for forty-five minutes aboard a motorized canoe to join Soanierana Ivongo. This biggest commune of the area counts about 20 000 inhabitants. They stock the essential oil and the quality of each bottle checked near the docks. Then sold by the producers between 30 000 and 35 000 ariarys per kilo (between 10 and 11 euros) to the collectors. “Sometimes, clove leaf oil supplier mix the goods with seawater or vegetable oil,” explains Rakotobe. But, we can know intentionnally deteriorated goods after decantation of the bottles and some specific qualitative test. For thousands of years, human uses clove (as a dried flower bud) for its antiseptic properties and anesthetics. In 200 BC,Chinese already appreciated it for its culinary virtues. Today, we can find it as much in Alsatian sauerkraut as in any Indian curry. A few months ago, the clove leaf oil drums stored at Soanierana Ivongo were exported directly to Europe for the manufacture of cleaning products (soaps, detergents …) or oral hygiene. But since mid-December, the Givaudan process directly the oil in Madagascar in the Natema plant (Natural Extract of Madagascar). This plant processes clove leaves harvested from 8 hectares, a little away from Tamatave. Import Clove Leaf Oil from MadaMarket Export. Partnered with Henri Fraise Fils, a local partner in energy production, tourism, the vanilla and transport sector for nearly a century. In roughly equal shares, they invested 10 million euros in an establishment that currently employs around 50 Malagasy employees. “First of all, we have built this plant to bring us closer to the producers, to create added value locally. But also for reasons of industrial logic,” explains Stéphane Zwaans, Givaudan’employee. 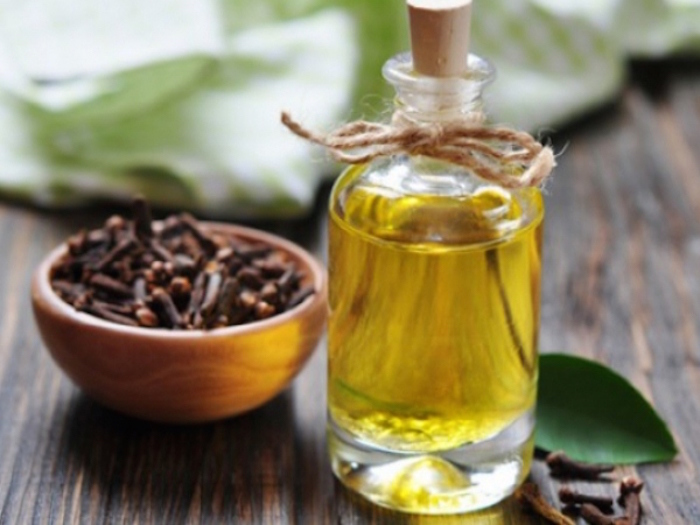 The essential oil of Madagascar’s clove leaves figures as the most popular in the world. Its eugenol rate counts close to 80% in Madagascar against 70% in Indonesia. “After the crisis of In 2010, we wanted to reappropriate certain strategic sectors. And we wanted to master them from start to finish, says Stéphane Zwaans. That’s why, we set up a team dedicated to sourcing natural ingredients at the source. Our process consists in sublimating raw material. We transform it to develop the best of its specificities. We do btain a high quality finished product in Madagascar. And send it to our perfume and aroma creation sites. “The specifications of the plant requires it to recycle all its waste so that there is no environmental impact.